ChipHop godfather A_Rival brings us three tracks EP that take the Teenage Mutant Ninja Turtles to whole new places. And the theme holds it’s own in remix form as well. With strong arrangement and a hard-hitting production, TMNT is a force to be reckoned with. Taking the memorable theme and infusing it with a healthy dose of drum & basss, A_Rival has levelup’d the classic TMNT theme in a way that’s all his own. 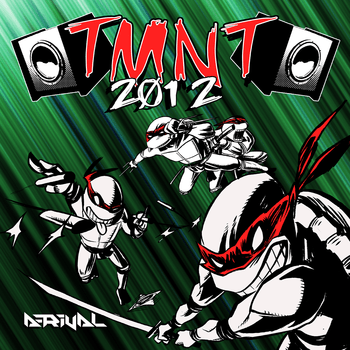 TMNT 2012 is available from A_Rival’s Bandcamp as the ever-awesome “Pay What You Want.” You can also follow A_Rival on Twitter and Facebook.